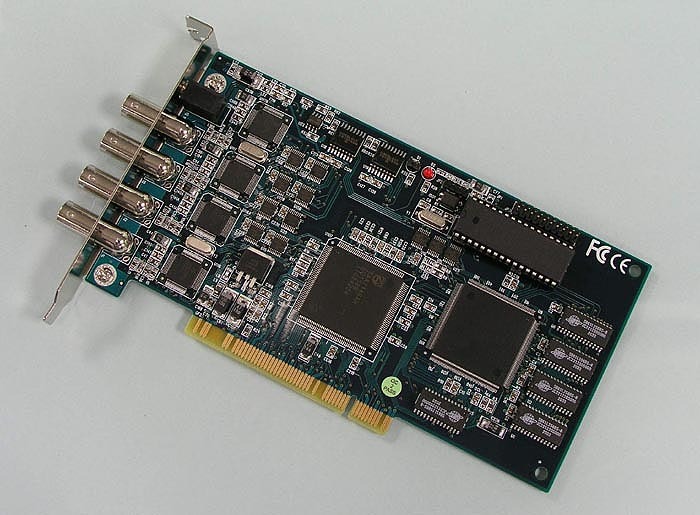 IBP-1604 supports four video channels with the Motion JPEG software mode video compression technique for long recording hour support; it can provide monitoring display at a resolution of 640x480 for a better viewing. The build-in sound chips record voice data at the same speed with video recording for two audio channels;, these Features: guarantee the quality of recorded images and sound data to be played back in "what you see/hear and what you get" performance. This capture card is developed with "Image contract", "Separation of front and back image", and "Recording when movement detected" techniques, built internally for separating the motion objects and the compression process, to increase the speed and quality for the encoding and decoding; these also effectively extend the total recording time with a more compact HDD storage space need. For PTZ and Dome camera support, users can control most of the cameras' movement such as the moving of the lens for up, down, right, left, turn, or in focus. Also, it can have the Iris control, the screen Zoom In/Out, preset of the Point, the Cruise, and the Auto-pan function. Beside these, the system also provides 8 I/O ports for the connection of any sensor device or detective equipment for I/O control support. SDK-1604 - Software Development Kit is available to customize your own DVR applications. Please contact us for the SDK.